About a year ago, a skinny white pit bull was found wandering near the Buffalo waterfront alone and scared. She was a sweet girl who had some trust issues, and very little was known about where she came from before she was found and placed with the volunteers from a local rescue program called Educate-A-Bull that aims to both educate the public about the false and harmful stigma surrounding bully breed dogs as well as rescue, rehabilitate, and find wonderful homes for these in-need animals. The program’s volunteers worked hard and did an amazing job of getting her healthy, noursihed, and socialized again. They named her Petunia. 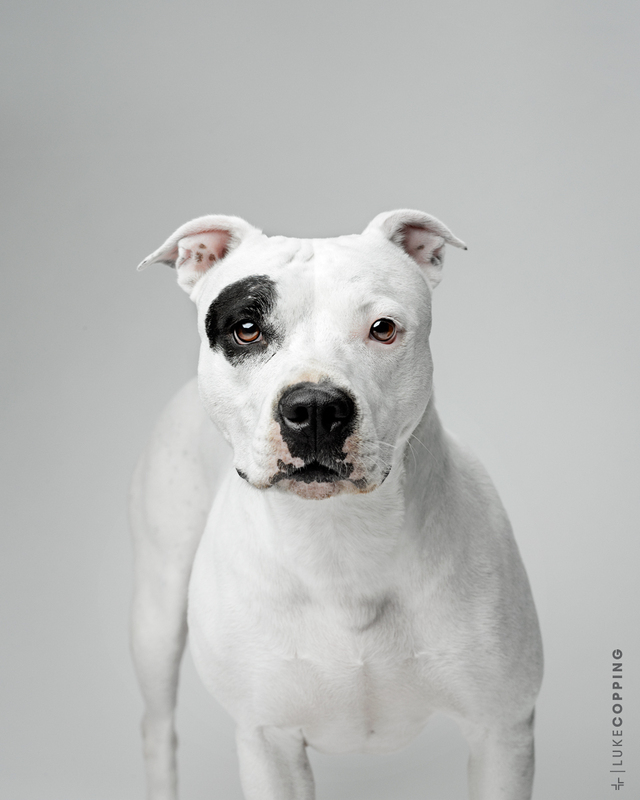 After a local news station ran a story on the work I’ve done with the City of Buffalo Animal Shelter, a group of Educate-A-Bull’s volunteers contacted me to see if I would be interested in working with their program and creating an adoption portrait of this tiny lady, since she is one of the program’s long-term residents. Of course I jumped at the chance to get to meet, photograph, and play with this cute four and a half year old pit bull terrier. Petunia is looking for a new home with a loving and experienced owner. 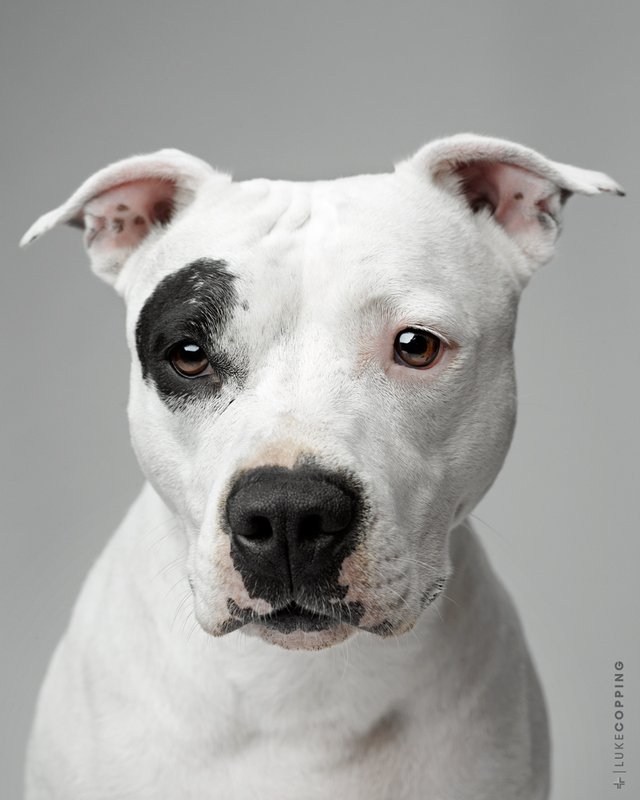 She’s a wonderful dog that has been with Educate-A-Bull for about a year, and her ideal home would be one without children or other pets – preferably with an owner who can give her a lot of attention and make her feel truly welcome as she settles into her new home. She is house and crate trained, and current on all her vaccinations. You can read more about little Petunia on her Educate-A Bull page. Please help spread the word about Petunia’s story. I know together we can find her a forever home! Next Post I GOT MARRIED! Luke, You are an amazing photographer and even more amazing person! It was a true pleasure meeting you and Erin! Thank you both so much for helping Petunia and our rescue, Educate-A-Bull. Liz and I look forward to seeing you soon and hopefully working with you again in the near future.